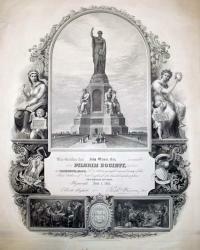 The monument the Society originally planned took much longer to fund and to build. The 81 foot tall granite structure was not dedicated until August 1889, but clearly the plans were drawn much earlier because it appears in the central vignette of this 1864 engraved membership certificate for the Pilgrim Society. The monument’s central figure is the female personification of Faith and surrounding her are the symbols of Morality, Education, Law, and Liberty. 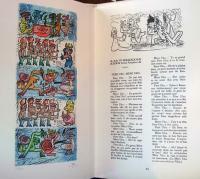 While most publishers content themselves with one form of illustration in any individual book, a few select titles include a variety of illustrative techniques. 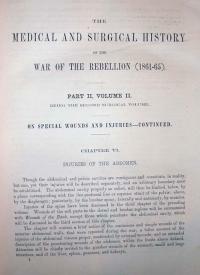 This account of surgical pratices during the American Civil War includes etchings, wood engravings, lithographs, chromolithographs, albumen photographs, heliotypes, and woodburytypes. In short, almost every reproductive process available at the time can be found somewhere within these six bound volumes. Here are a few samples. Although most paper is now made by machine, for hundreds of years it was made by hand, one sheet at a time. Western papermakers would tear up old clothes and rags, and soak them in water until they dissolved into a thick soup of fibers. A small amount of the liquid was scooped into a wire screen mould where the fibers were allowed to settle down onto the screen and the excess water was drained off. Each sheet was then dried between blankets of felt. 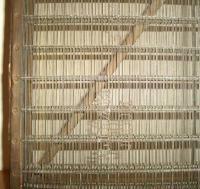 The screen was originally made with brass wires strung across the length of the mould (laid lines), secured at several crossing wires (chain lines). 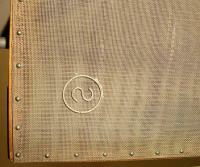 These wires left an impression in the paper that can be seen when holding the sheet up to the light. We call this laid paper. In the 1750s, James Whatman (1702-1759), owner of the largest papermill in England, developed a paper mould with brass wires that were woven together. The new design produced paper with a smoother surface, particularly good for drawings and watercolors. 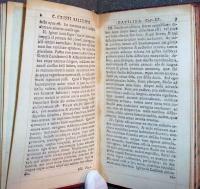 The first book published with wove paper was John Baskerville’s 1757 Virgil. 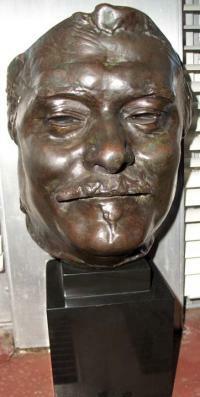 Honoré de Balzac (1799-1850), Le chef-d’oeuvre inconnu (The Unknown Masterpiece) (Paris: Vollard, 1931). 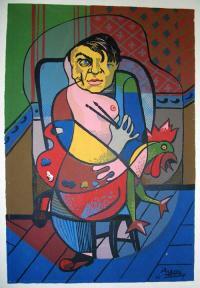 13 etchings and 67 woodcuts by Pablo Picasso (1881-1973). Copy no. 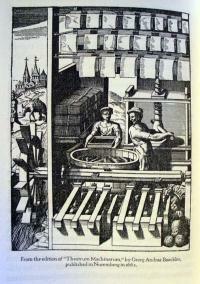 154 of 340, with an additional suite of 13 etchings. Book is a gift of Monroe Wheeler. Graphic Arts collection GAX oversize PQ2163.C4 1931q. Block is a gift of Elizabeth Roth in honor of Karl Kup. 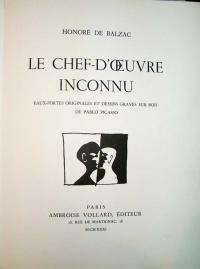 Le chef-d’oeuvre inconnu is a short story by Honoré de Balzac, which was originally called “Maître Frenhofer” or “Master Frenhofer” when it was published in 1831. The character of Frenhofer is a painter who has been working on the same painting for ten years. Over that time, he develops a complex relationship with his model who is also his mistress. The story ends sadly, with the artist burning his canvas before he dies. In 1927, the French art dealer and publisher Ambroise Vollard commissioned Picasso to illustrate a deluxe edition of Balzac’s text, intended for fine art print collectors. Picasso connected with the story on a very deep level, to the point that he moved his studio to the street where the hero of the story had lived. 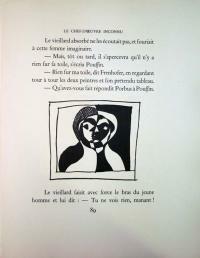 On the centenary of the story, the Picasso/Balzac edition was released. Along with this masterpiece in 20th-century book design, the collection of graphic arts holds a woodblock designed by Picasso for Le chef-d’oeuvre inconnu that was never included in the published edition. 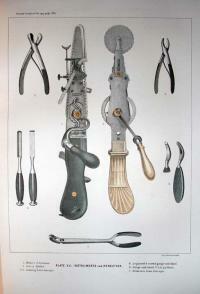 In the early eighteenth century, a Scottish goldsmith named William Ged (1690-1749) experimented with a new printing technique in which a whole page of type is cast as a single metal plate. Not having his own shop, Ged borrowed a page of set type so that he could make a mold of it and then, cast the mold in lead. His invention become known as stereotyping and allowed a printer to return individual pieces of type to the composing room for reuse, while the metal plates could be stored and printed on demand. Corrections could easily be made by cutting out the imperfect part and soldering the necessary new type into place. Around the same time, William Caslon was establishing the first successful type foundry in London. Caslon was afraid Ged’s invention would diminish his type business, so he made a public bet with Ged that he could set and print pages faster than Ged could reproduce them. Ged won the bet, but Caslon did not give up and secretly sabotaged Ged’s business (accounts differ on this), sending him into bankruptcy. In the end, Ged only stereotyped the pages for one complete book. 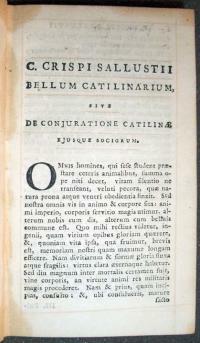 Ironically, the text concerns an ancient Roman conspiracy written by Sallust. Marquand Library acquires rare "Dutch Details"
Edward Ruscha’s books of sequential photomechanical images began in 1963 with Twentysix Gasoline Stations, (GAX 2006-2396N) published in an edition of 400 numbered copies under the imprint “A National Excelsior Publication,” funded by Ruscha himself. The 26 pages offer black and white images of gas stations along Route 66, which Ruscha had taken in 1962. The format had great appeal to him and he went on to produce several dozen other sequential image books over the next few decades. For many historians, Ruscha’s Gasoline Stations represents the beginning of the American artists’ books movement. 1971 was a busy year for Ruscha. He completed five paintings, along with books, films, prints, and drawings, and received a Guggenheim Foundation fellowship. Three books were completed this year: A Few Palm Trees, Records, and Dutch Details. The third was a commission by Sonsbeek ‘71, an international arts exhibition at the Groninger Museum, for which Ruscha was to create a work on site that would then be exhibited. As the plane was approaching The Netherlands, the pilot announced that the weather was bad and he would have more details soon. Ruscha thought, “Dutch details,” and that was the beginning of the project. 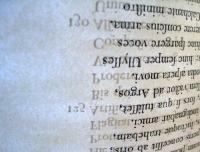 Unlike other book projects, Dutch Details is horizontal in format. The images are of bridges and the buildings taken with a hand-held camera. Although the Octopus Foundation published a large edition, the majority of the print run was mistakenly destroyed in a warehouse, and the remaining copies are now highly sought after by Ruscha collectors. Touba / New York (New York: Khelcom Press, 2004). 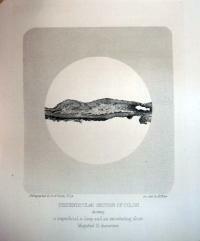 Edition: 45; printed on Kumohadamashi paper. Graphic Arts GAX 2008- in process. 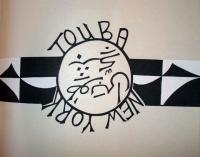 Touba / New York is an examination of the Murid Brotherhood, a Sufi Muslim movement dedicated to the promotion of peace. The word Mouride in Arabic means “one who desires,” and the Mourides are one of the fastest growing religious movement in West Africa. Once a year, Sheik Mourtada Mbaké, the youngest son of Amadou Bamba and the spiritual leader of the Mourides, travels to Harlem. The growing community of Senegalese expatriates gather around a red-brick building named the House of Islam on 137th Street and Edgecombe Avenue. They come to pay homage to the Sheik and receive his blessing. The week-long celebration begins on July 21 and ends on July 28, Amadou Bamba Day, with a huge parade down 116th street, through Little Senegal. The overwhelming majority of the men and women in this parade were originally from Touba (pronounced ta-wa-ba), the second largest city in Senegal and the location of Bamba’s sacred burial place. 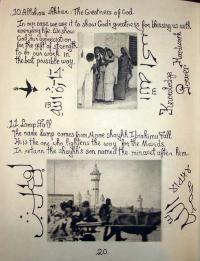 This book grew out of the artist Peter Bogardus’ encounters and travels with descendants of Sheik Bamba and his foremost student, Ibra Fall. 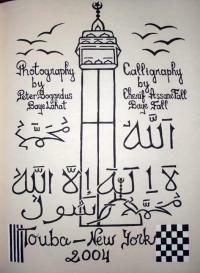 Text is printed from woodcuts cut by Peter Bogardus after calligraphy by Sherif Fall and Shaykh Ndiguel Fall. 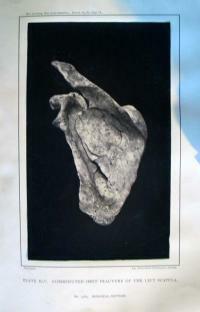 Illustrations include 35 photogravures by Bogardus. 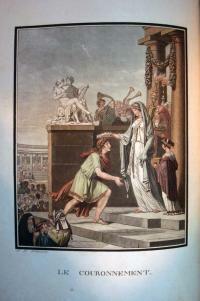 Antoine Gautier de Montdorge (1701-1768), L’art d’imprimer les tableaux (Paris: Le Mercier, 1756). Graphic Arts Collection (GAX) 2004-3391N. Gift of Elmer Adler. 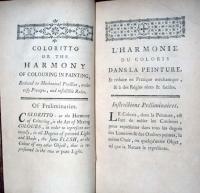 In 1725, the German artist Jakob Christoffel Le Blon (1667-1741) published Scheme of Colours in Coloritto, outlining his discovery of a multi-color intaglio printing technique, which he used to print reproductions of chalk and pastel drawings. For the first time, full-color prints could be created from just three colors: blue, yellow, red (and later black) printed in that order, one on top of the other. Many eighteenth-century French printmakers learned and practiced this technique, which became known as chalk manner engraving. 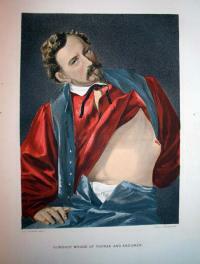 Variations were developed to also reproduce gouache and watercolor paintings. Philibert-Louis Debucourt (1755-1832) was particularly able at wash manner printing and a good example of his work is “Le Couronnement” or “The Crowning” [at the left] from Héro et Léandre, translated by Le Chevalier de Quérelles (Paris: Pierre Didot l’ainé, 1801). Graphic Arts Collection (GAX) Oversize PQ2384.Q45 H4 1801q. This particular print required six different plates with six different inks: blue, green, yellow, red, brown, and black, in that order. In the nineteenth century, these time-consuming and expensive printing techniques were replaced with stencil and hand coloring, which was usually done by low-paid female workers. The Audsley brothers, William James (born 1833) and George Ashdown (1838-1925), were Scottish architects who practiced in Liverpool from 1856 to 1880, in London during the 1880s, and in New York City beginning in 1892. Throughout their career, the brothers wrote, lectured, and published their designs and their beliefs, including the beautiful color-plate book Polychromatic Decoration. Intended as a pattern book and practical guide to the painted decoration of medieval-style buildings, the volume was an instant success. 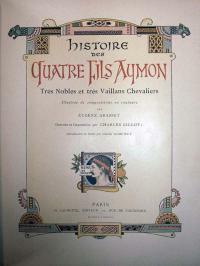 The brillient chromolithographs were printed by Firmin-Didot, who also published a French edition. Although the two editions were meant to be released simultaneously, La peinture murale décorative, dans le style du moyen age (Marquand Library (SA) Oversize NK2140 .A7f) actually came out weeks earlier, at the end of 1881 and so, has an earlier date. 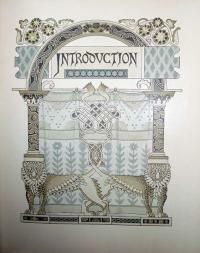 Each contains 36 chromolithographed plates, offering 166 designs. 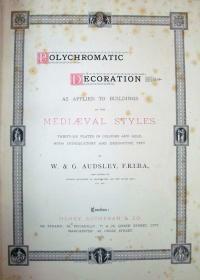 In 1895, George Audsley presented a talk at the Architectural League of New York on “The Polychromatic Decoration of Churches,” which was reprinted in Architecture and Building. This may have led directly to the commission to design the painted ornamentation for Our Lady of Grace Roman Catholic Church of Hoboken, New Jersey. 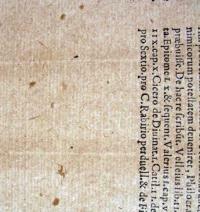 For Princetonians who want to see the Audsleys’ work in situ, this remains the closest example. The English artist James Gillray was a leading force in the Golden Age of British caricature, completing at least 1,000 prints between 1779 and 1811. As a young student in London’s Royal Academy, at the same time as William Blake, Gillray supported himself by engraving for hire and published a number of prints under fictitious names. The caricature shown here comes from early in his professional career. 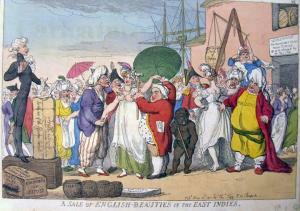 The scene reverses the roles of slave and slave owner, with English women being marketed to East Indian men. The ship has barely unloaded its cargo, when the auction begins. There is a warehouse on the right “for unsaleable goods from Europe, to be returned by the next ship,” where unwanted women are already exiting. The auctioneer stands at a podium made of bales of “britches” of British Manufacture, much the same as the women. 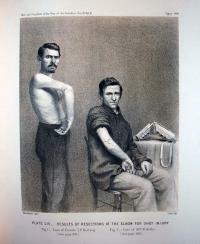 At his feet are boxes of books of sexual content marked “for the amusement of Military gentlemen.” Barrels of “Leakes Pills” line the bottom of the print, a contemporary remedy for venereal disease. A Sale of English Beauties was a very popular image but in the early nineteenth century Gillray was hospitalized and stopped printing. Publisher Thomas Tegg commissioned another caricaturist, Thomas Rowlandson, to copy the plate for a new edition. 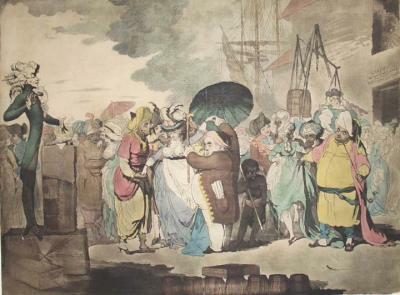 Smaller in size and less complex in design, Rowlandson went out of his way to make the satirical text in the image readable and finished the print in bright, bold colors that grabbed the attention of pedestrians passing Tegg’s printshop. 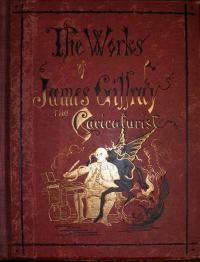 Finally, the new publisher and date were inscribed at the bottom right, without any credit to Gillray. Cambridge album (Massachusetts: Remick & Rice, 1867). GAX 2007-0085S. Gift of Donald Farren, Class of 1958. This Cambridge photograph album is dated 1867 and contains 205 gem tintypes, many with hand coloring. The word “Cambridge” on the title page does not refer to the photographs inside but was simply the album brand sold by Remick and Rice, the major producers of gem tintype albums. The album measures 3 1/2 x 3 1/4 inches; with each photo opening measuring 7/8 of an inch high by 5/8 of an inch wide, or about the size of a quarter. This size tintype would fit nicely into a locket, tiepin, or broach. 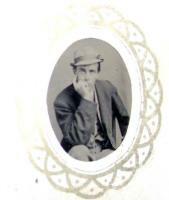 The tintype was patented in 1856 (thanks for the correction below) but not widely produced until a few years later. The format known as a gem or bon ton was usually made using a multi-lens camera with repeating back and was extremely popular in the United States during the 1860s. They were quick to make, inexpensive to buy (10 cents per dozen), and durable. For more information, read: Janice Schimmelman, The Tintype in America, 1856-1880 (Philadelphia: American Philosophical Society, 2007). TR375 .S35 2007. Continue reading An Album of Gems. 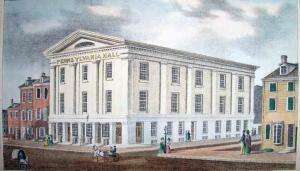 Pennsylvania Hall opened its doors on Monday, May 14, 1838. The building was constructed to provide a safe place for organizations to meet and discuss the abolition of slavery. By Thursday evening, the building was demolished. The first group to meet in the Hall was the Female Anti-Slavery Society and the next morning, a group of pro-slavery demonstrators began posting placards around Philadelphia, urging citizens to interfere, forcibly if they must, with further meetings. When the Society met again on Wednesday, demonstrators yelled and threw bricks through the windows. On Thursday, the Society sent a letter to the mayor of Philadelphia, asking for his protection. A series of letters went back and forth all day and around sunset the mayor addressed 15,000 demonstrators who had gathered outside the Hall. 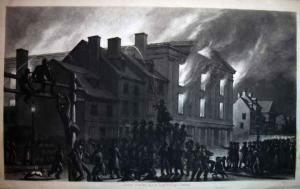 He told them he would not stop them, in fact he said, “I look upon you as my police, and I trust you will abide by the laws, and keep order.” With that, the mob attacked the building and set it on fire. The History is illustrated with three views of the Hall: a color lithograph frontispiece before the fire (top); a mezzotint by John Sartain depicting the fire (bottom); and a wood engraving of the ruins, drawn by John Archibald Woodside, Jr. and engraved by Reuben S. Gilbert (not shown here). The artist Harry Sternberg (1904-2001) was an influential instructor at the Art Students League in New York from 1933 to 1966 and helped a generation of artists find their voice in color and line. While his own work is best-known for its social realism, Sternberg also produced a series of bright and sometimes humorous portraits of his favorite artists, such as the serigraph of Pablo Picasso (1881-1973) shown here. This print was designed to celebrate the passage of the Fifteenth Amendment to the U.S. Constitution that guaranteed African American men the right to vote. 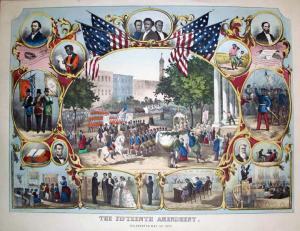 Its central vignette records a parade held in Baltimore, Maryland, on May 19, 1870, and peripheral vignettes feature portraits of Schuyler Colfax, Martin Delany, Frederick Douglass, Ulysses S. Grant, and Hiram Revels. Also included are generic scenes of African Americans participating in various political and cultural activities. Section one of the amendment reads:The right of citizens of the United States to vote shall not be denied or abridged by the United States or by any State on account of race, color, or previous condition of servitude. Opposition to the amendment took many forms including intimidation and physical violence. Literacy tests were authorize, along with poll taxes, grandfather clauses excluding all whose ancestors had not voted in the 1860s, and other obscure regulations, all enacted to disenfranchise African Americans. 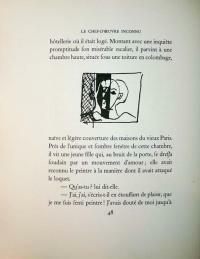 The opening of the exhibition Notre Livre: À toute épreuve. A Collaboration between Joan Miró and Paul Éluard will be celebrated on Sunday, March 9, 2008, with a lecture and reception. Elza Adamowicz will speak on “The Surrealist Artist’s Book: Beyond the Page” in the Betts Auditorium, School of Architecture, at 3:00. A reception will follow at 4:00, in the Leonard L. Milberg Gallery for the Graphic Arts on the second floor of Firestone Library. Elza Adamowicz is a Professor of French Literature and Visual Culture and the Chair of French Department at Queen Mary, University of London. Her research specialisations are Dada and Surrealism and her work, among other things, has offered a reflection on the relationship between literature and art, and text and image in these movements. Her publications include: Surrealist Collage in Text and Image: dissecting the exquisite corpse (Cambridge University Press 1998); Ceci n’est pas un tableau: les écrits surréalistes sur l’art (L’Age d’Homme 2004); Surrealism: Crossings/Frontiers (edited book, Peter Lang 2006) and Buñuel and Dali: Un Chien andalou (forthcoming 2008). She has also published numerous articles on topics such as Claude Cahun, André Breton, Joan Miró, collage and Surrealist maps. In 2006, she co-organised a conference on Dada entitled “Eggs laid by tigers: Dada and Beyond” at Swansea University. She is currently researching on a book on Dada bodies: ‘Dada’s exquisite corpses: between battlefield and fairground’. The exhibition continues in the Milberg Gallery through June 29, 2008, open Monday to Friday, 9:00-5:00, Wednesday 9:00-7:45, Saturday and Sunday 12:00-5:00. The exhibition is free and open to the public. The French writer Alfred Jarry is chiefly remembered as the creator of Ubu roi (King Ubu). The play is a loose parody of Shakespeare’s Macbeth, presenting the characters of mother and father Ubu, who plot to assassinate the King of Poland. 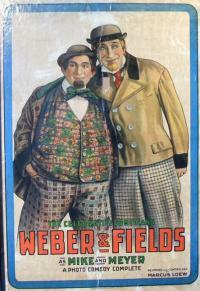 The first commercial production opened on December 11, 1896 at the Théâtre de l’Oeuvre. But when the first line was spoken, “Merdre” (Shitter) the audience caused such uproar that it took the stage manager nearly fifteen minutes to quiet the auditorium. Those who did not walk out continued to jeer and interrupt the performance throughout the evening. 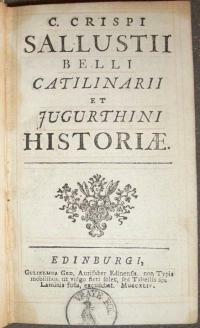 For the complete French text, see: http://www.gutenberg.org/etext/16884. 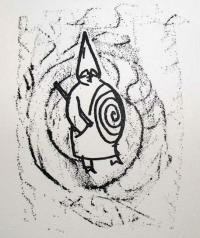 Jarry created his own illustrations for the published play, in particular the figure of father Ubu, with a distinctive spiral across his stomach. Since then, other artist have published their interpretations of Jarry’s notorious play, including in 1982, the Chilean artist Matta (Roberto Matta Echaurren). 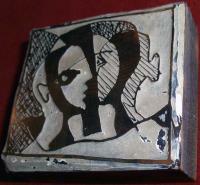 Born in Santiago, the young Matta spent time in Paris as an assistant to the architect Le Corbusier. In the 1930s, he became an active member of the French surrealists, who all looked to Jarry for inspiration and courage. As a sign of Matta’s appreciation to Jarry, the distinctive spiral appears in many of his paintings.